It’s time to get the kayaks out and do a paddle on Van Norden Lake. With this very dry year, the water level is already dropping below the spillway and the seasonal lake will be drying out very early this year. 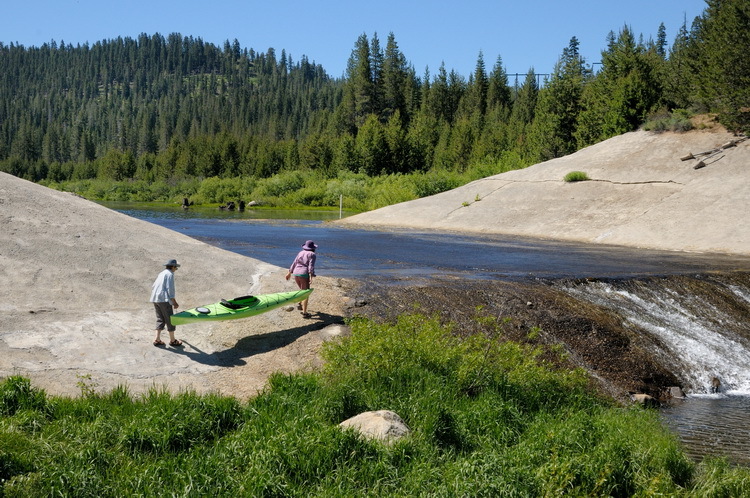 You can pretty easily traverse the spillway and put in for pleasant paddle out to the back bay of the lake. Best to get going early to miss the winds that can come up in the afternoon. This is breeding time for the water fowl and shore birds in the wetlands and you should see pairs of Mallards and Mergansers and hordes of Western Toad tadpoles. I even saw a pair of Cinnamon Teal when I was out there last week. Keep your eyes peeled for Osprey and Bald Eagle that love to hunt the waters of this shallow lake. Last week there were four Osprey all hunting together and we saw one pull out a small Bullhead Catfish for lunch. 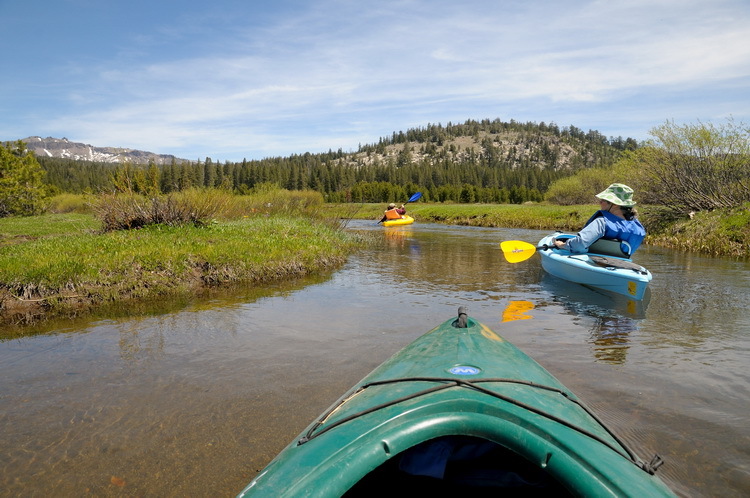 Make sure you make the effort to paddle back to the back bay area where Shooting Stars and Small Elephant Head flowers are currently in bloom. 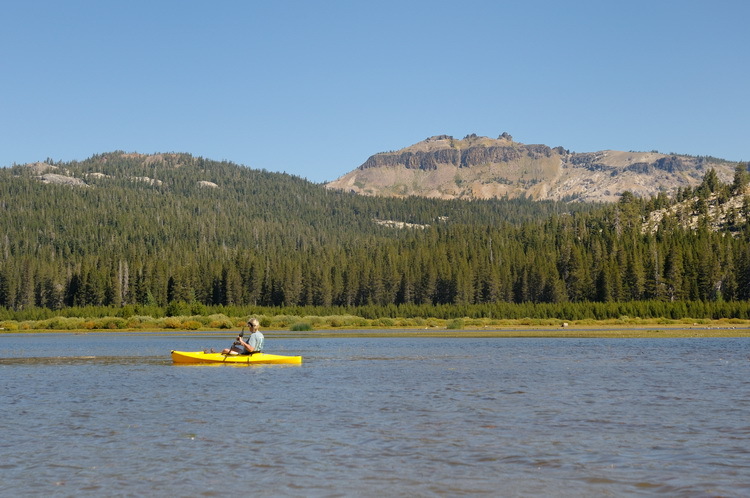 I especially urge you to get out there this year in view of the possibility that the lake and wetlands may not be out there much longer if we can’t prevent the Truckee Donner Land Trust from draining the lake (see SAVEVANNORDEN.ORG for details). It is really magical to be out in the middle of the blue jewel of the lake surrounded by the scenic beauty of Donner Summit Valley.